Make your Accord Turbo sounding with our Turbo Whistler! the Kit and installation. Honda Turbo Kits cost thousands for the Civic Turbo or accord turbo sound. The Turbo Whistler gives the Honda Turbo sound for fraction of the price. 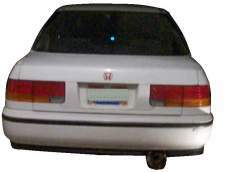 You can have the Honda Turbo sound for $19.95!!!! You can intimidate other cars when you fly by and sound like you have a Honda turbo, civic turbo or accord turbo car. Honda Turbo, Civic Turbo, and Accord Turbo for Less!!!!!!! This Turbo Whistler will make your Honda Turbo sounding. It will fool everyone into thinking you have a civic Turbo. The Turbo Whistlers are cheap alternative to buying $3500+ Turbo kit, and much easier to install. The Turbo Whistler installs under 2 minutes. You can have your civic Turbo in no time. The Turbo whistler is easy to install,. Anyone can do it. Turbo Whistler can make your accord Turbo sounding. Turbo Whistlers are perfect for making any Honda turbo sound. Its the perfect gift for Christmas or birthday. Make your Accord turbo Sounding! Here are the advantages of having a Turbo Whistler! -The Civic Turbo and Accord Turbo won't void warranties. -You can have your Civic Turbo or Accord Turbo and not worry about blowing engines. -Civic turbo and Accord Turbo install easy in Muffler. Make Honda Turbo Sound Today for only $19.95!!!! Please allow 7-10 days for your Turbo Whistler to arrive. The only place where you can have your Honda Turbo for less!!!! Get your Civic Turbo and Accord Turbo Today! !